It’s rare that television stations make headlines, especially during a natural disaster. Television journalists report on the unfolding events and provide vital safety information but are usually not part of the story. But what if your broadcast center is the story? Disaster can strike anywhere — from wildfires along the West Coast to the many recent hurricanes threatening the Gulf and East Coast. 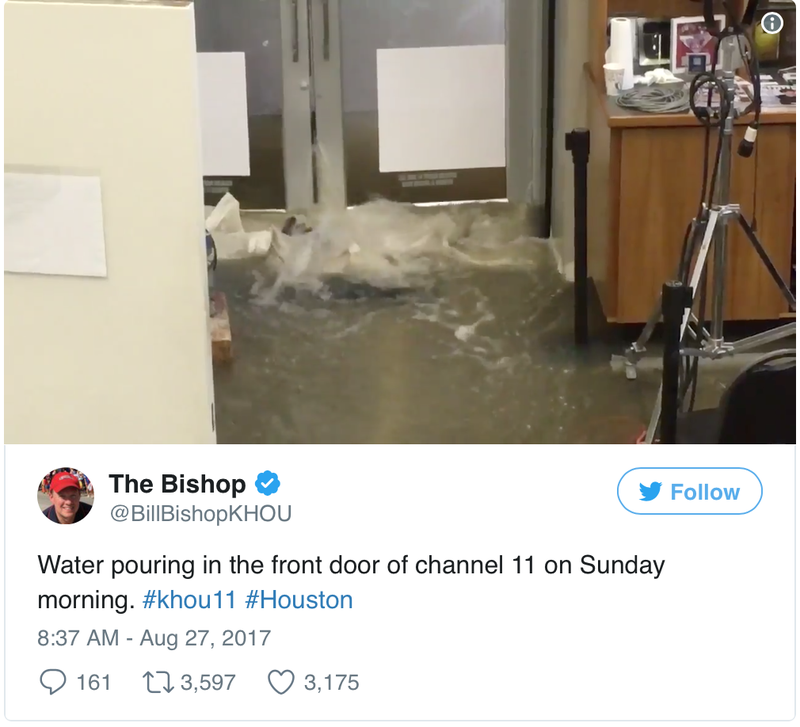 KHOU in Houston continued to broadcast from the field even as flooding consumed the main office and studio. The spate of recent natural disasters are causing broadcasters to reevaluate their disaster plans. We’ve seen stations flood and we’ve seen stations burn. The National Association of Broadcasters suggests that broadcasters create a Disaster Recovery Plan for just these kinds of incidents. During a major disaster, communities need real time information and broadcasters are at the heart of disseminating that information. Journalists are active participants in this public service, especially television stations and web news services. The news must go on. So the question is — how is your broadcast operation prepared in the event you have to leave the station and continue to broadcast breaking news? Do you have a system in place that can give you that flexibility, while keeping your content secure? NOAA tracking Hurricane Irma’s path. Four major news markets that housed more than 70 television stations in Florida (this number does not include all broadcasters in those markets) were at some point threatened by Hurricane Irma. As Hurricane Irma roared toward Florida, latakoo helped our clients set up contingency plans if a station had to relocate their broadcast operations. Because these stations use latakoo to transmit stories from the field — that content is accessible in the cloud — from anywhere. If a station had to relocate to another broadcast center, like a student television station or public access channel, they could still download and broadcast stories from field crews without interruption, using a secure log in from any computer. 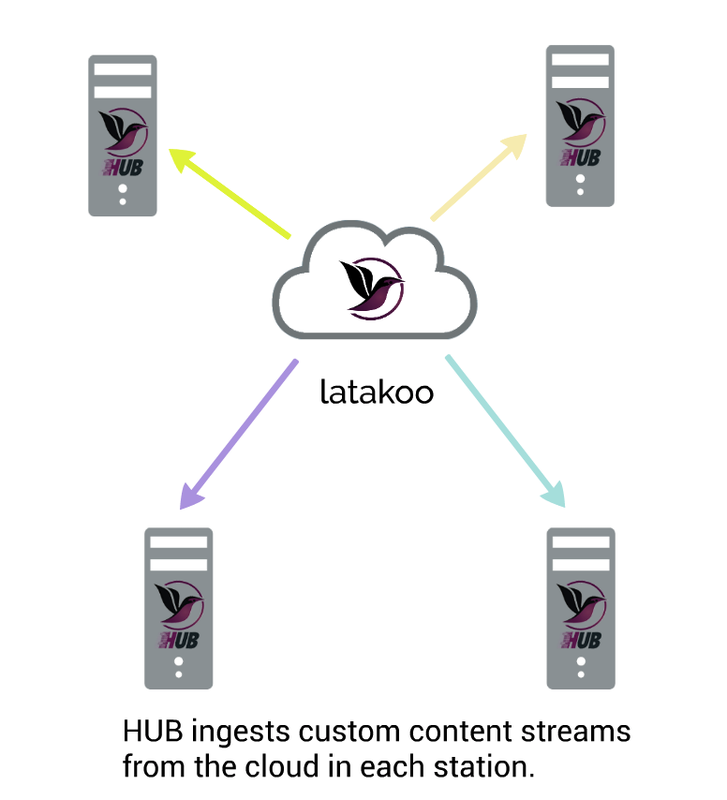 latakoo clients can leverage our cloud resources as well as on-premise HUB servers that allow direct transfer of content into the media asset manager of choice. But what if there is no local broadcast facility available? In that case, latakoo HUB offers a solution. 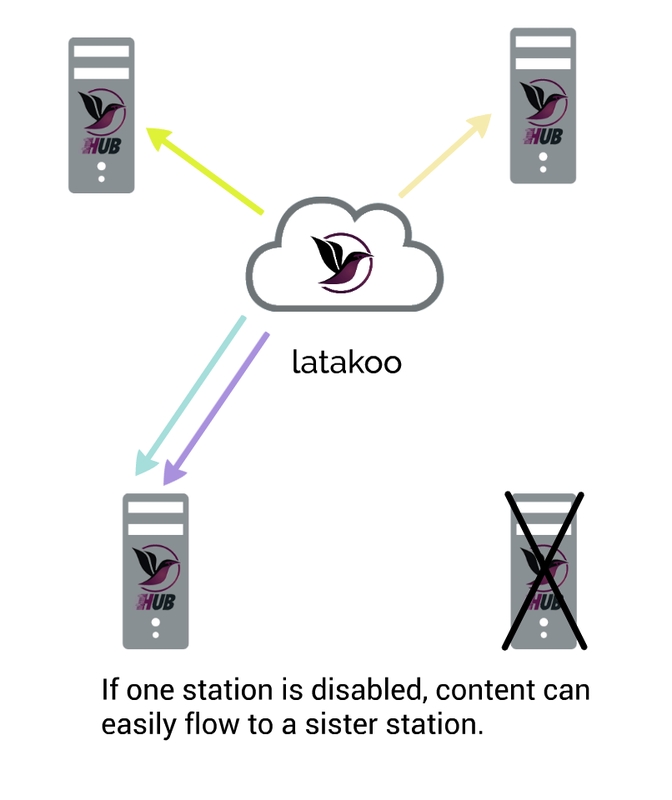 One of our station groups has latakoo HUB automated download servers in each of their broadcast facilities. These servers pull content securely from the cloud, depositing the video into the asset management system, where it can be routed for playout or editing. In the event that one station’s operation goes down, their content can be pointed to another station’s HUB server and downloaded into their system. That sister station can seamlessly pick up broadcast coverage using the same crews and content from wherever news is breaking. This was the contingency plan that we established during Hurricane Irma, which thankfully, we didn’t have to implement. Because latakoo has a network of servers around the globe, your content is always available — even after the news event. latakoo can provide an archive of all the content sent with latakoo. And workflows can be established using latakoo HUB that would send additional content to the cloud for backup and archiving. From the field to the cloud to any broadcast facility, latakoo makes recovery easier and faster. Each latakoo user has their own login and profile based on their role, which restricts content to those users who are granted access. For example, freelancers may be able to upload content, but are restricted to viewing only their uploads and are unable to download files. In other cases, users from one station may have the ability to see content from a sister station, but must request that content, before downloading. We built latakoo with flexibility in mind. We know in news that situations change, deadlines change and workflows change. 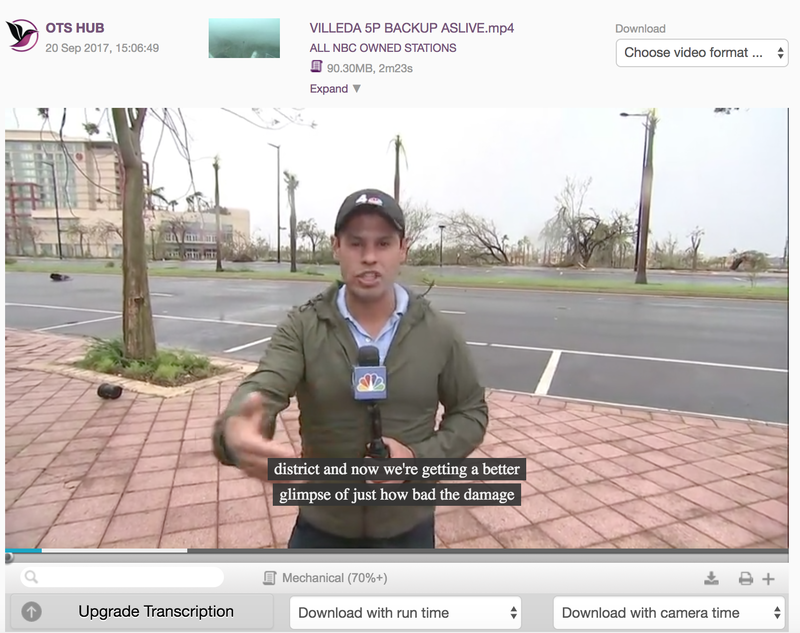 latakoo meets those challenges with the tools broadcasters need to fulfill their mission of serving the public — especially in cases of natural disaster. 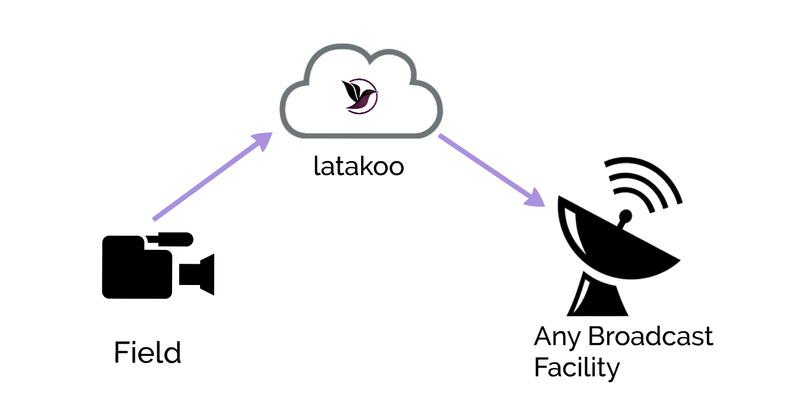 Want to learn more about latakoo workflows? Join our How to latakoo training.